Students with hearing disabilities face unique challenges inside the classroom. Many common learning modes that people take for granted -- lectures, discussion groups, and even one-on-one conversations -- can be a struggle for those who have any level of hearing difficulty. However, that doesn’t mean a college degree is out of reach. Today’s wide range of tools, devices, and systems can help students who are deaf or hard of hearing thrive in an educational setting. This guide focuses on those resources, tech tools and expert tips that students of all ages can use achieve academic success. Not all hearing disabilities are equal, and a person’s hearing level dictates how they manage life both inside and outside the classroom. 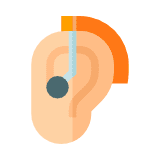 The next few sections explain the different degrees of hearing loss, as well as define the following three commonly used terms: deaf, deafness and hard of hearing. 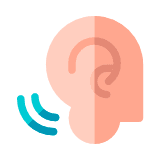 Deafness refers to a level of hearing loss severe enough that the individual is limited in her or his ability to process acoustical language, whether they are using assistive listening devices or not. Hard of Hearing is used to describe someone who does not hear well. The individual may hear and understand verbal communication but may need the help of an assistive listening device or hearing aid. Deaf does not describe the level of hearing problems in an individual. Instead, the term refers to those who are hard of hearing and use American Sign Language to communicate. Students with a hearing disability have a number of assistive tools at their disposal. Some assistive technology, such as a hearing aid, is fairly well known and common among those with more serious challenges. However, some tools on the following list may not be as popular, at least to those who either work with or teach students who use them. Let’s see which tech tools are helping make classrooms -- and learning environments in general -- more accommodating for students with hearing loss. Hearing aids amplify existing sounds around the wearer. They work by making sounds easier to understand and can provide sound filtering to make existing sounds easier to hear. Hearing aids usually fit around the ear or inside the ear canal. Due to the potential to be overly conscious that someone might notice the hearing aid, college students may prefer the in-the-canal hearing aids, custom-fitted so that they are practically impossible to notice. Though hearing aids can be purchased online, keep in mind that they often require extensive customization and programming, as well as adequate instruction in their use; therefore, it is important to discuss the need for hearing aids with a physician, audiologist or licensed hearing aid center. Cochlear implants are essentially prosthetic ears. They tend to be very expensive, as they require surgery and a great deal of follow up care. As a result, cochlear implants are usually not recommended for those who have anything less than profound hearing loss. Cochlear implants work with external and internal components. The external components consist of a microphone to detect sounds, a speech processor which filters and processes the sounds to be sent to the inner ear and a transmitter which transmits the signal to the internal receiver beneath the individual’s skin. The internal components consist of a receiver that collects the processed sound data and converts them into electrical signals and electrodes that apply the electrical signals to the cochlea. The brain then interprets these electrical signals as sound. In order to receive a cochlear implant, those in need must speak with the proper medical specialists, including a cochlear-implant surgeon. There are countless smartphone apps for Android or iOS that can assist college students who are hard of hearing. The following is a short list of apps that could be useful. Hamilton Mobile Captel. Available on both iOS and Android, this app transcribes telephone calls in real time. This allows the user to read what is being said during the phone call. Dragon Dictation. Supported by both iOS and Android, this app is voice recognition software that presents the spoken word as a text or e-mail. P3 Mobile. Long-distance communication is made simple with this Video Relay Service (VRS) app that allows deaf and hard of hearing students to send video messages with ease. Sorenson Buzzcards. Designed like flashcards, Sorenson Buzzcards allow reduced-hearing individuals to easily communicate with people unfamiliar with sign language. Subtitles Viewer Live. 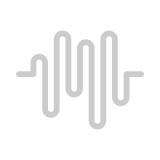 Live-feed text transcription is made possible with this app, allowing hard of hearing individuals to quickly log and respond to spoken information. Most modern smartphones and laptops are equipped with a webcam or built-in video camera and the capability to run software that allows video conference or video chat capabilities. This allows the possibility of lip-reading (assuming high enough bandwidth and camera resolution) and sign language communication. As long as a student has a smartphone and a data plan, they can take advantage of this technology. If a student’s computer lacks a webcam, installation of an external webcam is typically fairly straightforward, often connecting through a standard USB port. Students can purchase their own webcams for as cheap as twenty dollars, but many schools also provide webcams and other useful tech free of charge through their disability resource center. 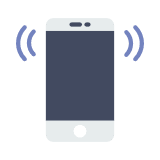 A TDD (telecommunications device for the deaf) is an electronic device that allows the sending and receiving of text communication over a standard telephone line. 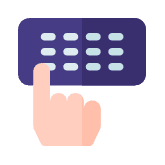 Also referred to as a TYY (teletypewriter), a TDD/TYY device consists of a small screen, keyboard and cradle for holding the telephone handset. Text is inputted through the keyboard and presented to the user through the LCD screen. Though it is considered an outdated device, a TDD/TYY can still be useful in some classroom settings. It can usually be purchased from specialty retailers, such as those found online. A frequency modulated (FM) system is a type of assistive listening device that can be used in a classroom or other large area. The speaker wears a microphone, which wirelessly transmits their words to a receiver. This receiver can then be directly connected to a cochlear implant, hearing aid or headphones. Some newer and advanced hearing aids have this FM receiver built in. An FM system can usually be obtained from specialized retailers. This technology only works with hearing aids that have a telecoil, so is not available to everyone. It works by taking the sounds picked up by a speaker’s microphone and transmitting them through an induction loop, which is usually installed in the floor or ceiling. The induction loop transmits a signal that’s picked up by the telecoil in the listener’s hearing aid. Some personal audio induction loop systems are available for individual use and may be purchased at specialty retailers. Though there are numerous resources at hand for students who are hard of hearing, including the technology tools listed above, there are many things schools can do to create environments more conducive to learning for those who have hearing loss. Changes in the physical classroom can make a difference, as can close attention to the various communication methods offered during class time. Here are a few initiatives many colleges and universities take to help ensure that students with hearing loss have the same access to information as everyone else. Everything about a physical classroom, from the shape of the room itself to the tiles on the ceiling, can affect the way students with hearing loss perceive the lessons. These points provide schools with an excellent opportunity to adjust the classroom setting, with the understanding that even slight changes can be enough to provide a better learning experience for those who have trouble hearing. Room Acoustics. Being aware of the reverberation of a particular area matters. For instance, the way a sound echoes in a cavernous gymnasium is much different than the way it sounds in a smaller classroom setting. Anyone who has ever tried to understand the words coming across a public address system in a gymnasium can definitely see the value of a smaller area for better hearing. Creating a classroom that has less reverberation can be great for those who rely on hearing technologies that could be disrupted by the constant echoing that happens in a larger setting, such as a lecture hall. Full Visual Access. Those who are hard of hearing often rely on visual cues to tell them what is happening in the world around them. Students should be able to see everything around them in the classroom. To that end, desks that are arranged in a “U” shape are more conducive to learning than those arranged to face the front of the room. Teachers should take care to speak only when they are turned toward students, and should provide some visual cues as to what is happening, such as written announcements presented to the student as the same announcements are being played over the intercom. Lighting. Fluorescent lighting, the most common form of lighting found in classrooms, has a unique sound all its own -- and that sound can be enough to disrupt delicate hearing equipment, thus making it more difficult for students to hear what is being said by teachers and peers. Harsh sunlight streaming through windows can throw individuals in shadow, making them more difficult to see. Careful attention to lighting and seating position can help alleviate these concerns. Distance to Students. The default for most teachers is to place students with hearing loss at the front of the classroom. However, this might negate those students’ abilities to lip-read what their peers have to say, as most of those other students are seated behind them. 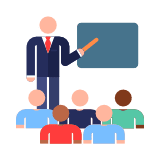 Since the teacher often moves around the classroom when lecturing, the sound direction and volume can vary enough that students have difficulty understanding some or even the majority of the lecture. To alleviate this, attention must be paid to each student’s unique needs in order to choose the proper seating distance. Quieting the Environment. Some classrooms are filled with noise that most of us can “tune out,” and thus rarely recognize. The sounds of heating and cooling units, fluorescent lights, foot traffic outside the door, cars passing on a busy street, and much more can create an environment that wrecks havoc with the hearing technologies many students need in order to excel in the classroom. Vibrating Alert Devices. Small vibration devices are often used to signal fires, doorbells, weather warnings and more. These devices can be used in the classroom to alert to schedule bells and other important announcements. Closed Captioning. Today, closed captioning is available on every television and digital receivers, and can be used to great advantage in classrooms where videos, movies, or even live lecturing is taking place. Person-to-Person. Students can use texting technologies, chat rooms, face-to-face communication devices, communicator keyboards, and even pen and paper to discuss important points in the classroom. Group Learning. Recognizing the difficulties of group learning for those who are hard of hearing requires some extra work on the part of the teacher, including printed hands-outs of key points, digital pen technology, interactive whiteboards and note-taking for the student. Voice-to-Text. Voice recognition software can be trained to suit one particular student, thus allowing them to speak to the classroom or accurately interpret discussions happening around them. Interpretation or Sign. Though sign language can certainly be used in the classroom, some students prefer to use video remote interpreters. This technology allows an interpreter in another location to listen in on the classroom and sign to the user through computer or video telephone. Jeannette Washington, M.Ed., is a former speech-language pathologist who founded Bearly Articulating, a company that provides services for those with hearing loss or auditory processing disorders. What have you found to be some of the best classroom resources for those who are deaf or hard of hearing, especially on the college level? Assistive technology can open many doors in our society of exceptional learners. I currently use the Fast ForWord program, a personal FM System (microphone assistive listening advice) and CAPDOTS auditory training program. A personal FM system can be impactful to a student’s ability to comprehend instruction because the instructor wears a microphone and transmitter that is used to deliver speech to the student through ear-buds or ear-level receivers. This device makes it seem as though the instructor is talking directly into the student’s ear. Fast ForWord is an online based program using patented technology and neuroscience-based learning principles. It provides hundreds of activities where the words and sentences are acoustically modified to stretch and emphasize the phonetic elements of natural speech. CAPDOTS is another online program using evidence-based therapy system. It is set up in modules which improve student ability to focus and their attention to sound. How can students who are deaf or hard of hearing be proactive about their educational success? Students with hearing loss need to build communicative relationships with their instructors. Some students are confident enough to ask questions in the middle of a lecture and others prefer to ask questions at the end. No matter when the question is posed, students who are hard of hearing must not be afraid to ask. A question can frequently lead to an answer and an answer can easily be led to understanding. What questions should a deaf or hard of hearing student ask in order to find the right college? Are there services to assist freshmen student’s transition from high school? What types of housing options or accommodations exist? What types of assistive or adaptive technology resources are available on the campus? Are study preparation and exam accommodations available? What provisions are in place in case an issue occurs with receiving accommodations? What is the graduation rate and/or the retention rate for students who are served by the Office of Disability Services? Not all institutions of higher learning are created equal, especially when it comes to accommodating students who might have hearing requirements. Students should look closely at the potential colleges on their list to ensure they will have the proper help in the classroom and on campus. Here are some key points students who are deaf or hard of hearing should keep in mind when investigating potential colleges and universities. Proper accommodations. Does the school have plans in place for those who have disabilities, including those who are deaf or hard of hearing? Accommodations might include technology in the classrooms that allows students to learn on a par with all their peers, as well as accommodations in certain common areas of the campus, such as dorms and cafeterias. Ease of requests. Assuming that the school does not have automatic accommodations for those who are hard of hearing, how difficult is it to get the school to make allowances for students so that they can find success? Are requests granted within a reasonable time frame? ADA Compliance. Does the school comply in all ways with rules from the Americans with Disabilities Act -- specifically, are accommodations made for those who are deaf and hard of hearing that allow students to participate in the same events as those who do not have trouble hearing? Grievance policy. The college should have a strong grievance policy in place that not only allows students to lodge formal complaints in a simple way, but also moves the grievance policy forward quickly so that resolution does not have to be weeks or months away. Meet with administration. Speaking with the administration at the colleges and universities on the short list can help students understand exactly what to expect from attending there. For instance, administration that has a plan in place to communicate with deaf or hard of hearing students from the moment they walk into the office could signal excellent communication plans throughout the rest of the school. In addition, meeting with administration can help them understand the extent of a particular person’s disability, and lead them to assist accordingly during the years spent on campus. Get to know the teachers. Though the administration might be ultimately responsible for the technologies implemented in the classroom, the teachers are the ones who will see the students on a near-daily basis. Getting to know the teachers and asking them to help form a learning plan can go a long way toward classroom comfort and success. Find the right clubs and groups. Discovering clubs, groups and organizations on campus dedicated to those who are deaf or hard of hearing can provide even more resources for students to pursue, in addition to the feeling of belonging that most students crave during their college career. Jenna L. Kubly suffered permanent damage to her hearing due to a lack of medical care as a baby in a foreign orphanage. Today, she uses hearing aids and has earned a B.A., M.A., and Ph.D.
How has your hearing loss affected you in an educational sense? What tools or technologies did you find most helpful during your educational journey? Hearing aids are of course the fundamental technology for me. As new technologies emerge I find myself wondering in retrospect how they might have assisted me -- such as new hearing aids that can be programmed to pick up direct feed from a microphone that one asks a speaker (i.e. teacher/professor) to wear. Additionally, I discovered many years later that there are services such as note-takers that might have been available to me. Although I do not “officially” lip-read, I think subconsciously I do to some extent, because if I am looking down at my paper to write notes, or someone is not facing me when they are speaking, my comprehension of what they are saying plummets -- hence I think that [note-taking] might have been a help to me. I also had speech therapy for several years in grade school. I was quite young, but I believe that I likely did not always pronounce words correctly simply because I could not hear all the necessary sounds, so speech therapy insured that I could communicate more clearly. Closed captioning and English subtitles are amazing; I love that most DVDs have the subtitles and that most TV shows have the capability to display closed captioning. I didn’t have either when I was younger (the external closed-captioning box was quite expensive, and I do not think I knew such a thing existed.) Now I find it indispensible and to this day, if I go back and watch a movie I first watched as a young child, I still find myself discovering “what they really were saying” now that I can turn on the closed captions or English Subtitles. I think if films are shown in class, teachers and professors should automatically turn on the closed captions; I think it could benefit more than just those with hearing impairments. How can a student be proactive in overcoming hearing loss and finding success in education? I think the best way to be proactive is for students to know what works best for them, and then be unafraid to ask for whatever accommodations are needed. When I was in grade school, my mother would always take me in to meet my teacher a few days before school started to explain my hearing disability and ask the teacher to be willing to work with me/make reasonable accommodations. For instance, I always sat in the front row, even if the general policy of a teacher was to rotate students throughout the year. By meeting the teacher beforehand, I think that helped address any shyness or timidity I might have otherwise had and I could then speak up later, if needed. As I went on in my schooling and reached high school, I took it upon myself to secure a “front row” seat in the classroom and talk to the teachers as needed. Another example: when I was in undergraduate one of my hardest classes was a science course. As I recall, the professor either had a very basic outline that was projected or it was clear to me that he was lecturing from a very basic outline in front of him. In any event, after a few classes I knew I was falling behind in the material, largely because I could not keep up with him in taking notes: if I was looking at him while he talked, I wasn’t taking notes. If I was taking notes, I often was “translating” in my mind what he said, and so therefore never heard any new material he was giving. Eventually, I met with him during office hours, explained my problem, and asked if he would be willing to give me a copy of his outline before class, as that would help guide me to take notes. It truly helped--and I think a classmate sitting next to me saw my outline and wanted one, and pretty soon the professor ended up providing the outline to practically the entire class to assist with note-taking. I write about to illustrate how being proactive resulted in obtaining the resources I needed which helped me succeed. With a few minor and rare exceptions, I have found that in educational settings, my teacher and professors have been not only willing to make reasonable adjustments but usually did so gladly and might even have their own suggestions. With a growing emphasis on universal design, etc., the need for individual accommodations may fade, but I still think each student does need to take ownership and do what s/he can do to ensure a successful academic career -- and yes, a little extra work may be necessary. There are numerous scholarships available for various groups of students, including those who have hearing disabilities. These scholarships are specifically designed to be awarded to those who experience reduced hearing. This scholarship is applicable to any school district that meets the participation criteria. In addition to providing a recent audiogram, deaf and hard of hearing applicants will also put on a presentation, providing experience communicating in front of large groups of people. While this scholarship is available to any students who have worked through physical hardships, preference is given to students diagnosed with hearing-related conditions. Applicants must be from specified territories within Colorado, Texas, or Mississippi. Qualifying students for this scholarship must provide an audiogram proving bilateral hearing loss of 40dB or more. Applicants can be either high school seniors or active college students, but must hold at least a 3.2 on the GPA scale. This annual scholarship helps hard of hearing or deaf high school seniors make the most of their college experience. In addition to a cash prize, awardees will also receive a new set of hearing aids. Each year, the Graeme Clark Scholarship is awarded to students who have received Cochlear Nucleus Implants. Scholarship recipients must hold a GPA of at least a 3.0 and can renew funding for up to four years. This scholarship is available to members of the deaf and hard of hearing community, regardless of if the student is of reduced hearing or if they are the caregiver of a reduced hearing individual. A 2.5 GPA is required, as well as demonstrable fluency in American Sign Language. Eligibility for this scholarship extends to any deaf or hard of hearing student looking to further their education past the high school level, regardless of intended program length or subject. This scholarship is awarded every year to reduced hearing students who are working through a collegiate-level program at an institution caters mostly to hearing students. Preference is given to students studying in STEM fields such as Biology, Engineering, or Physical Sciences. The Travelers Protective Association (TPA) provides a number of scholarship packages to provide students with the equipment, resources, and funding needed to be successful. Awardees are selected based on level of need. STEM students with reduced hearing may be eligible to apply for this annually distributed scholarship organized through the Alexander Graham Bell Association. Applicants must have lost their hearing prior to speech development. A Pre-K to 12 school, AIDB serves more than 24,000 students -- from infants to seniors -- who have hearing and vision loss. This Chicago public school offers a program dedicated to students who are deaf with individual education plans (IEPs). The school focuses on a balance of academic and social skills. This free, accredited public school in Fremont, CA serves children who are deaf, focusing on California State Board of Education Standards, as well as mastery of American Sign Language and English. Serving the 54 easternmost counties in the state of North Carolina, ENCSD provided unique and specialized instruction to students who are hard of hearing, deaf and deaf-blind. FSDB is a fully accredited state public school and outreach center. It offers tuition-free education to eligible Pre-K to 12 students who are deaf, hard of hearing or visually impaired. A university focusing on providing quality liberal arts education to deaf and hard of hearing students. HSDB strives to provide the unique learning environment that elementary, middle, and high school students who are deaf, hard of hearing and deaf-blind need in order to learn and grow. The National Technical Institute for the Deaf at RIT is a career-oriented, technological university that serves more than 1,100 students who are deaf or hard of hearing every year. NYSD is the second oldest school for the deaf in the U.S. Today, the school serves students from more than 36 school districts, and incorporates the latest educational technologies into all aspects of the student learning experience. SWCID was created after a Howard College and Texas Education Agency study revealed a significant need for career training and higher education options at the postsecondary level for individuals who are deaf. Find more schools for deaf and hard of hearing students. Need to learn more about the deaf or hard of hearing community? Want to delve deeper into potential scholarships, resources, financial help, and other assistance designed for those who are hearing impaired? These resources can provide a wealth of information. 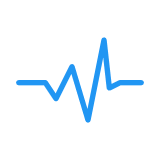 American Journal of Audiology: A peer-review journal in both electronic and print form that serves as a source for clinical audiology research. We Connect Now: An online resource (including blogs, stories and news) aimed at college students with disabilities in order to provide information concerning higher education and post-graduate employment. Hear-It: A non-profit website providing hearing loss information and news in addition to raising public awareness of hearing loss. Has a simple online hearing test to determine if there is a possibility of hearing problems. National Institute on Deafness and Other Communication Disorders: Part of the National Institute of Health, this organization conducts and facilitates research based on hearing, speech and other related communication-based problems. AbleData: Funded by the National Institute on Disability and Rehabilitation Research of the U.S. Department of Education, this is an extensive, unbiased database of products and solutions for those who have disabilities. Deaf Students with Disabilities Network: Online resource for parents and teachers of students who are hard of hearing. The Deaf Resources Library: A virtual library housing information on the deaf cultures in the United States and Japan as well as a large source of hearing related topics. The Ear Foundation: Based in the United Kingdom, this organization provides education and advice on hearing technology and implementation into everyday life. American Cochlear Implant Alliance: The American Cochlear Implant Alliance (ACIA) exists to make life easier for the deaf and hard of hearing. The ACIA raises awareness, sponsors research and advocates for improved access to cochlear implants. TDI: Advocating group that strives for equal access in media and telecommunications for those diagnosed with any form of hearing loss and deafness. Hearing Aid Know: Online resource for obtaining hearing aid information in easy to understand forms. National Cued Speech Association: NCSA was formed to help parents and teachers of children who are hard of hearing by promoting Cued Speech, a form of visual communication based on eight hand shapes. American Sign Language University: An online education resource designed to teach and improve American Sign Language skills. This website contains lessons, videos, dictionary and other tools. Braille and American Sign Language Fonts: Contains fonts in both braille and American Sign Language available for download in ZIP format. Registry of Interpreters for the Deaf, Inc.: A national organization promoting transliteration and interpretation services for those who use the spoken language or sign language. The S.E.E. Center: Promotes the use of Signing Exact English by providing a source of training and support for those who use this form of communication. ASL-STEM Forum: An online forum with the goal of creating a technical word library for terms used in science, technology, engineering and mathematics. 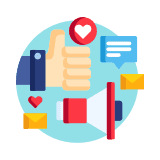 American Speech-Language-Hearing Association: Made up of approximately 204,000 members and affiliates, including speech, language and hearing professionals, scientists and researchers. ASHA&rsquo;s goal is to foster effective communication, regardless of physical or mental abilities. National Association of the Deaf: NAD is the foremost civil rights advocate for the deaf and hard of hearing in the United States. The NAD website provides legal and everyday living resources for the deaf. Hearing Loss Association of America: This organization&rsquo;s goal is to give assistance to individuals with hearing loss, as well as their families. Key goals include raising public awareness about hearing loss and reducing the stigma connected with those who are hard of hearing. The Association of Late Deafened Adults: The ALDA focuses on assisting adults who have experienced hearing reduction later in life. Serves largely as an education, support and advocacy group. 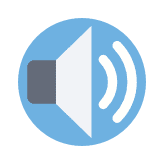 Hearing Industries Association: A good source for comprehensive hearing loss advice and information, including types of technology, treatments and health care professionals available to those who are hard of hearing. Dangerous Decibels: A public health campaign aimed at raising awareness and preventing Noise Induced Hearing Loss and tinnitus. Wrightslaw: Online legal resource for advocates of children with disabilities. Dogs for Better Lives: Rescues and trains dogs to serve as service animals for those with hearing and other disabilities. DeafHealth.org: Providing health information through the use of American Sign Language. 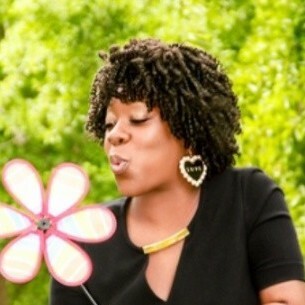 A former speech-language pathologist, Ms. Washington created Bearly Articulating, a company that provides multisensory tutoring online and in-home, college planning, and professional development to support the unique educational needs of learners struggling in reading, writing, spelling, speaking and other scholastic aspects of formal education. Ms. Kubly studied theater history and received a B.A. from Bethel University (Minnesota), M.A. from the University of Colorado-Boulder, and Ph.D. from Tufts University. She is fascinated with all types of history, drama, and art, but especially the society and culture of the First World War. She has published essays and book reviews. Shannon Lee has been trying out this writing thing for over 20 years – and after a dozen novels, thousands of articles and millions of words written, she might have finally gotten the hang of it. For the past several years, her professional writing has focused on education-related topics. With two children in college and one in preschool, she has a personal interest in the entire educational spectrum. When she’s not writing, she’s hanging out in the garden or whipping up a new recipe for her family to enjoy.